Payday Loan Quick Facts #infographic ~ Visualistan '+g+"
Among all credit options payday loans nowadays are the most popular when it comes to short term small cash lending. The reason is that these loans are extremely convenient in any financial emergency situation and there is hardly any other option that can be called half as fast and helpful. They are very easy to get and also easy to repay. There is no need for a person’s credit score to be perfect in order to get a payday loan. This also talks to their very best advantage. Surely as payday loans are not regular bank credits, a lot of people have vague ideas about the ways they operate and are usually overcome with doubts whether to try payday loans or not. 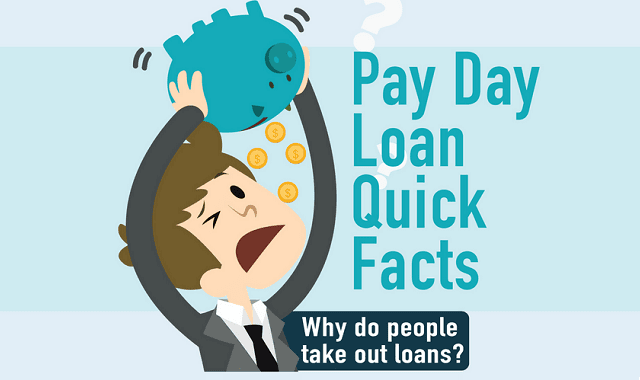 Here is a small but clear infographic offered by UStarcash.com with short but informative facts about payday loans. It is bound to shed some light on this controversial credit opportunity.